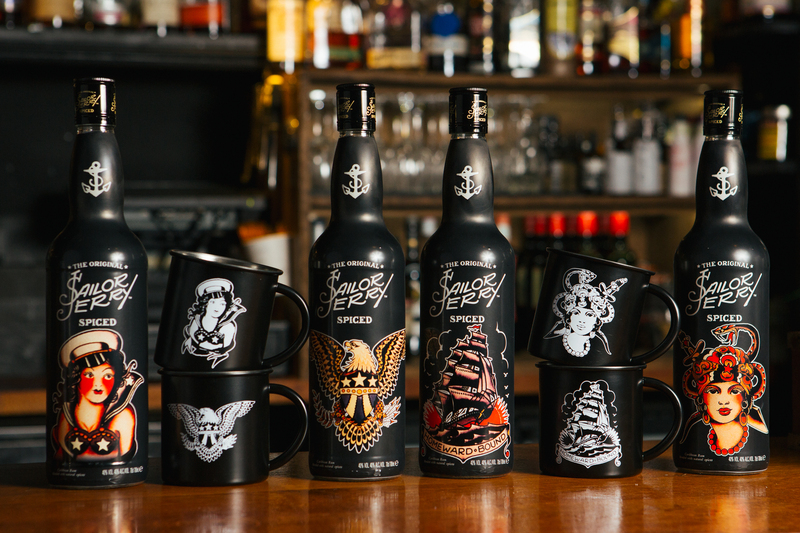 MM: How did you become the face of, and Brand Ambassador for Sailor Jerry in the UK? 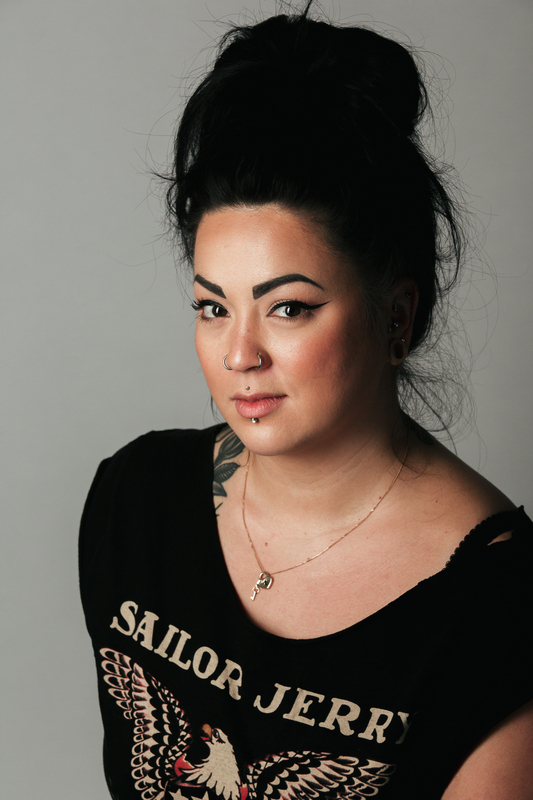 EmmaLi: I’m from Hastings down on the South coast and it just so happened that the brand manager for Sailor Jerry had family there. She came into the bar I was working in – which was a Tiki bar which does lots of rum and was all Hawaiian. That was where her family lived why she popped in and she asked me if I was interested in applying for the job and so I sent my CV in. That was in 2009, so I’ve been here a little while now (laughs). MM: So tell us a little bit about Norman Collins and his world famous nickname “Sailor Jerry”? EmmaLi: Obviously he was a sailor, joining the navy when he was 19. He was born in 1911 and died in 1973 and was a famous tattoo artist. 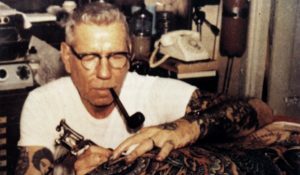 During his lifetime, he made a huge impact on the tattoo industry as the techniques he used were revolutionary. His style was really unique and people recognised and still celebrate that. MM: He obviously had a massive impact on body art so how did change his chosen profession for the better? EmmaLi: As an individual, he was a perfectionist and was always striving to do better. One of the quotes about Sailor Jerry that I like the most is “Never decide that you are the best or at the top of your game; that’s when things start to go wrong.” This attitude really helped him to improve while continue to do what he was doing. 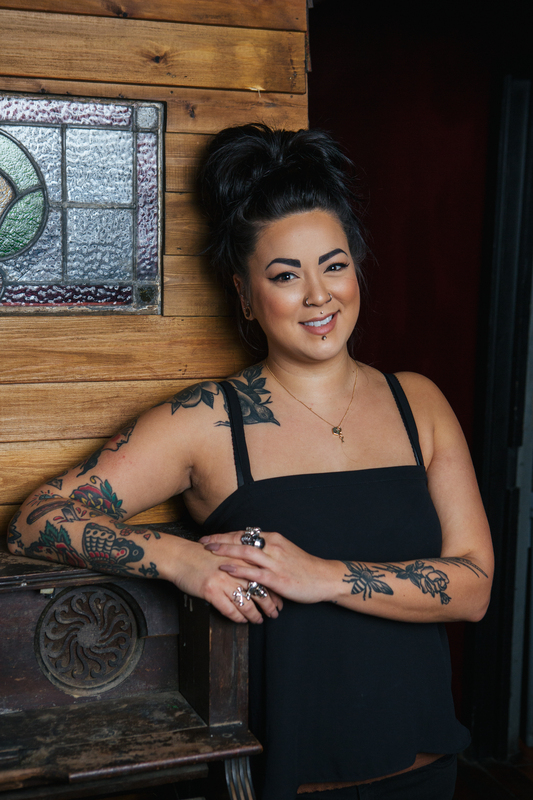 MM: You guys ran a free tattooing event at London cocktail week earlier this week didn’t you? EmmaLi: Yes we did. We teamed up with Cloak and Dagger. You had to have a wristband and we did it as part of the pop-up events where we were telling Sailor Jerry stories and tying the tattoos back into the story. MM: How successful was it? EmmaLi: It was great. Over the course of it, I think the team did 66 tattoos or so. We did two days worth and it was a first come first served kind of deal, where people would just come up, pick something off the flash sheets, and yeah it was good fun. MM: Something I’ve always been curious about: How did the rum come to bear Sailor Jerry’s name as he passed away before the first bottle was produced didn’t he? 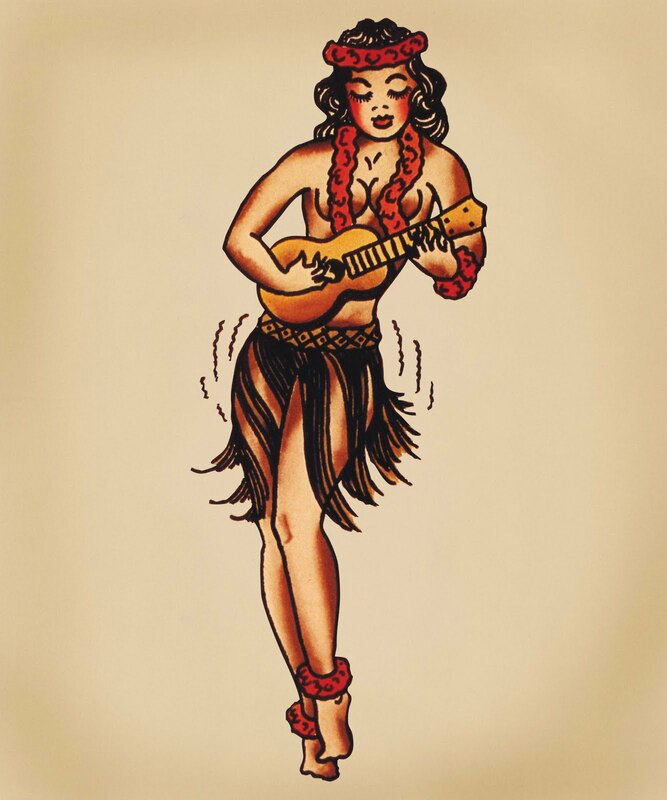 EmmaLi: Sailor Jerry started out as a clothing company before we started producing rum. In the beginning it was just about paying tribute to Norman Collins and celebrating the man and his life while getting his name out there. Anything that we do that bears his name we try to do to his standards and make sure it lives up to his values. And for us it’s about celebrating who he was and communicating that with people, and this is just another way of doing it. MM: You just started doing flash wraps on bottles haven’t you? Tell us about that. EmmaLi: Like I said, it’s about celebrating Norman Collins’ life and not everybody realises that he was a tattoo artist. People drink the rum, but they don’t necessarily associate it with tattoos. So for us, doing that was a way of sharing the rest of his iconic artwork with people and not just concentrating on the Hula Girl. MM: So in your opinion, what should a good rum be? EmmaLi: That’s a difficult question. The beauty of rum is that it has something for everyone. Depending on your mood and tastes, you’ll be able to find something you like; whether it’s light or aged, the flavour is strong or spiced. Balance and versatility are very important. I want a rum that I can do lots of things with, and try different drinks with. MM: Norman Collins was also a keen motorcyclist wasn’t he? 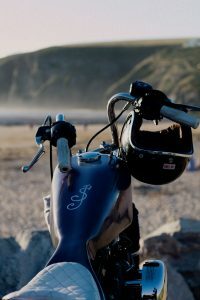 A Harley man I believe… The reason I’m asking about that was because you promoted an event called “The Ride” didn’t you? EmmaLi: Yes, this year was the second year we did “The Ride”. We took a bunch of bike builders and motorcycle enthusiasts on the road, going round the county, attending events, telling stories and making the whole thing more interactive. We filmed it all and released the videos online and through social media; it was a really good time. MM: Let’s get back to talking about tattoos. Which of Norman’s designs is your favourite and why? EmmaLi: I really love his pin-up girls. If you look at the pin-up girls from that era, Jerry had a real flair for doing them, he really made it pop and come to life. They look stunning and there is one with a snake charmer that I really adore. MM: From personal experience I know people have a very intimate relationship with their body art. So which of your tattoos is your favourite and what’s the story behind it? EmmaLi: I don’t really have any favourites, but one that I had done earlier this year is pretty cool. I was in Miami and I got to meet Keith Underwood who worked with Mike Malone who in turn was one of Jerry’s closest friends. So I got tattooed by him, a shark design by Sailor Jerry on my left forearm. 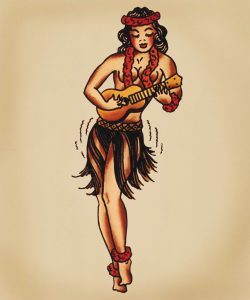 I really love that because it was cool to be tattooed by someone who was so close to Sailor Jerry. He’s really the last person in Jerry’s lineage still working and it’s as close to being tattooed by Sailor Jerry as it’s possible to get. MM: As we’re approaching the festive season, what would you say to someone who had never tried rum to maybe get them to try it? EmmaLi: The great thing about rum is that it’s so diverse. For the people who usually drink light spirits like vodka and gin there are white rums that would probably appeal, but if you’re a whiskey drinker there are some really rich, full bodied, aged golden and dark rums that will probably appeal to you. So what I’d most likely say is to try something different, try a cocktail with it in and you’ll probably find something that you really enjoy.